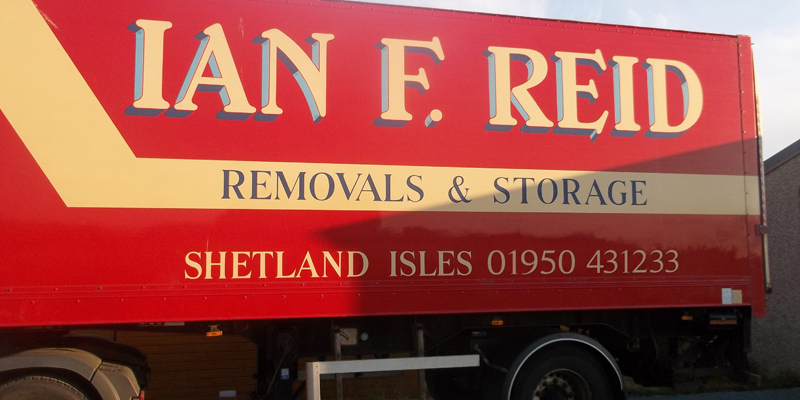 Reid Removals Ltd offer an efficient competitive service to and from The Shetland Isles. Our friendly staff are happy to guide and advise you on all aspects of your move, our personal attention is guaranteed from enquiry to delivery and each move tailored to individual requirements. We offer a full packing service where our trained staff use a range of top-quality boxes and materials sourced from BAR services.to ensure your possessions are protected we have strong wrap covers which are made for suites, dining tables ,chairs ,pianos etc. Export wrap is used for large pictures fragile items and overseas moves, hanging garments are placed in railed carriers, mattresses are covered in polythene sleeves .Plants are taking care of as far as practical. Local moves can be carried out by our trained staff or for those wanting to do most work themselves why not hire a man&van. Our liability covers up to a declared value of £25,000 higher values can be arranged at an extra charge. We use B.A.R terms and conditions which can be downloaded here.